We are very sad to announce the death of Ron Fuller, at the age of 80. 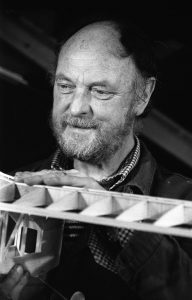 Ron was an integral part of the formation of Cabaret Mechanical Theatre having first met Sue Jackson while they were both students at Falmouth Art School in 1957. Ron’s distinctive toys, for example, Hens Laying Eggs and Tapping Can-Can Dancers were popular in the original Cabaret shop on Falmouth High Street. When CMT moved to London in 1984, Ron’s Lion Tamer and Sheep-shearing Man automata were regular favourites which he made in small editions. Ron also built us a life-sized mechanical ticket-stamping man for the entrance to the exhibition in Covent Garden. 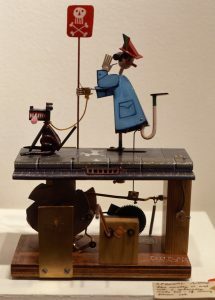 Ron liked to think of himself as the village toymaker, which of course he was but his talents for bringing his ‘toys’ to life with ingenious mechanisms, electronics and the power of wind set him apart from most peoples idea of a toymaker. Ron Fuller. 28th August 1936 – 2nd July 2017. Update: new links have been added to our page about Ron. A dear friend and an inspiration …… one of the kindest people I ever met. How I shall miss him. Ron Fuller, gone but not forgotten. All my family will fondly remember you and your toys. I particularly recall the submarine you made that fired a torpedo across the floor to the button on the side of the exploding naval ship. if only every village & every town & every city had a toymaker like ron. Ron’s creations have delighted generations of visitors to Kristin Baybars’ shop in London and today we had his circus on all day in memory of him. It has enchanted 1000s of visitors to the shop over the years. Saddened to hear of Ron’s passing. Just today took out Flying Officer Kite, and the submarine/exploding battleship to dust them off for the visit of family friends and their boys (8 and 5) tomorrow. We’ve had these Ron Fuller toys for over forty years and they will continue to bring delight to children for decades to come. What better memorial could a toymaker have? So sad to hear that Ron has died. 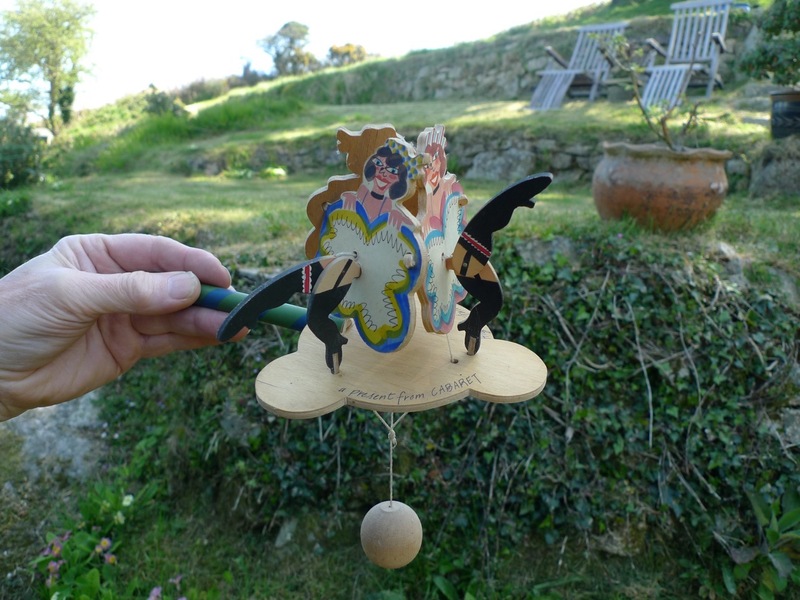 As ex-Laxfielders we remember Ron and Moss very fondly and we still have (somewhere) a cut-out gun that he made for our son Robert about 30 years ago. Particularly sad when society loses a unique individual.